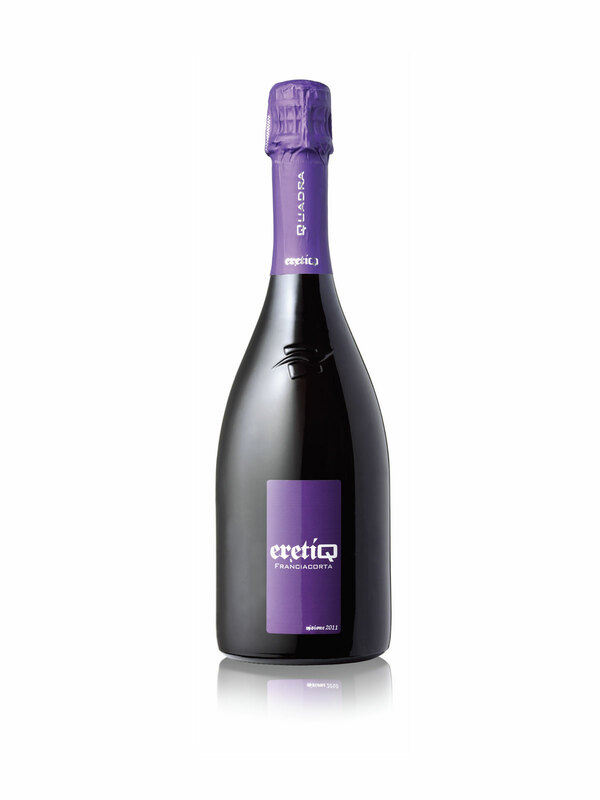 At last we introduce our 2011 EretiQ 2012 Dosaggio Zero, the innovative Franciacorta wine I invented, designed and created for those curious people who love unconventional wine tastings. Since 1997, when I arrived in Franciacorta, I have imagined this wine and I have kept it in mind, waiting for the right moment to create it. The name ERETIQ summarizes the essence of my idea: Quadra’s heresy, that is the risk of creating a Franciacorta wine without its foundation, Chardonnay. Thus, in 2009 I realised my dream by combining the two Pinots, Blanc – first and foremost – with Noir and so I gave rise to an unconventional and unseen expression of Franciacorta wine. It is unconventional in its conception and creation but especially in its chemical composition, which shows a subtle fusion of floral and white fruit flavours with hints of small red fruits. A delicate structure balances the strong acidity, due to the fact that no dosage liqueur is added. Heretic and pure! The risk is highlighted also by the colour of the bottle, enhancing purple.